Something has changed quite recently. Something simple, yet from societies point of view, something quite life changing. It isn’t my son. His needs and difficulties are exactly the same as what they were yesterday. He still can’t speak and has limited communication. 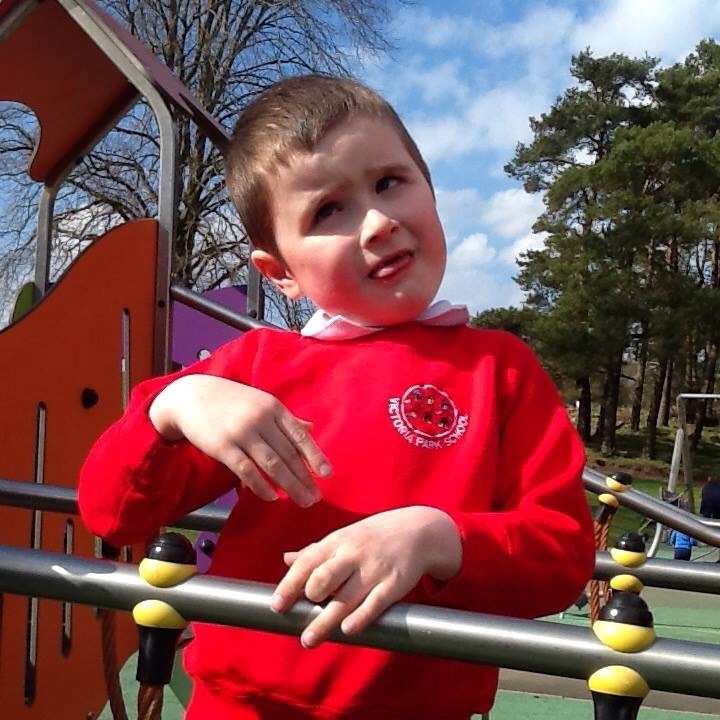 He still has global developmental delay and learning difficulties. He is still doubly incontinent and vision impaired. He very much still has autism. His genetic condition (neurofibromatosis type 1) hasn’t miraculously disappeared. He needs full support to meet his every need. But something quite fundamental has changed for him. For the first time his invisible disabilities have become visible. He has always flapped in public. And screamed. Those just generated stares and cheeky remarks. He has always made strange noises and avoided eye contact. They have just made people look the other way and pretend they don’t notice him. We have used disabled toilets now for some time. I think some people think I am someone very special because I pull a key out my pocket to open the locked doors. We park in disabled parking spaces and display a ‘blue badge’. But still we get questioned and accused because we lifted a child out the car who then proceeded to walk to where we were going. Why does society only think you are disabled if you physically can’t walk? We have endured awful comments, hurtful stares and had many people avoid us when our son has been in obvious distress over sensory overload or frustration due to communication difficulties. We have had to live with the fact our son did not ‘look’ disabled so according to most people that meant he couldn’t be disabled. It was frustrating, distressing and hurtful. But now that has all of a sudden changed. His invisible disability is now blatantly obvious. And the difference in the public attitude is incredible. We have just been given a wheelchair for Isaac. So suddenly people are smiling at his flapping, they find his noises endearing and cute, they even open the door to the disabled toilets to help me in. They no longer have issue with me parking in a disabled bay because they see a wheelchair coming out of the back of the car and a child lifted into it. Strangers are coming up and talking to us like we are no longer contagious. When my son screams, rocks and bites himself people are wanting to help and asking what they can do to assist instead or avoiding, talking about us behind our backs, or staring at us in disgust. When we take him to appointments now people are going out of their way to help and support. Even medical professionals seem to take thing a little more seriously. People are listening, respecting and supporting where before these were all major challenges. All we did was sit him in a chair with wheels. But it shifted things. They told me having a wheelchair would be life changing. I certainly would agree with that. A simple chair with wheels and handles has made life more pleasant, more manageable, and much safer. I was expecting it would be major for us.I just never realised how major it would be to everyone else. When the invisible disability suddenly becomes visible we change how we behave. I viewed my son as disabled but now because of a simple wheelchair others see him as disabled too. The thing is he is just the same Isaac he was before. The only thing that changed was a set of wheels. This entry was posted in Uncategorized and tagged autism, caring, changing opinions, disability, disabled children, invisible disability, neurofibromatosis, non veebal, parenting, public perception, severe autism, special needs parenting, wheelchair. Bookmark the permalink. ← Just don’t ask my neighbours! 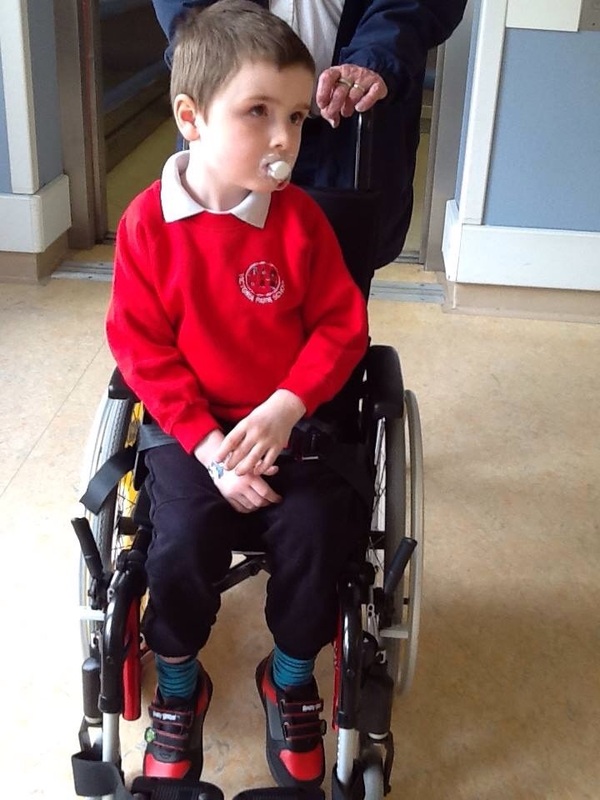 I have noticed that with my 8yo son, when we are using his wheelchair, people seem to have a much less negative reaction to his behaviour than when we are not using it. I find it sad in a way, but there it is. We still get some negative feedback if he is noisy, even in the wheelchair. That as so well written. I hope you dont mind me sharing it. I have a friend who is suffering from severe medical vertigo at the moment and is semi-housebound due to it. She managed to just about walk to the local shops yesterday and someone called her ‘a stupid drunk’ because of the way she was walking. I’ve suggested that she carries a walking stick and tha way most people will assume that shehas physical problems rather than being drunk. This shouldn’t be necessary for either her or your family but society is terrible for only acknowledging obvious physical problems that stare them in the face. It amazes me as to what it takes for people to recognise disability. Brilliantly written blog. Thanks for sharing your experience. 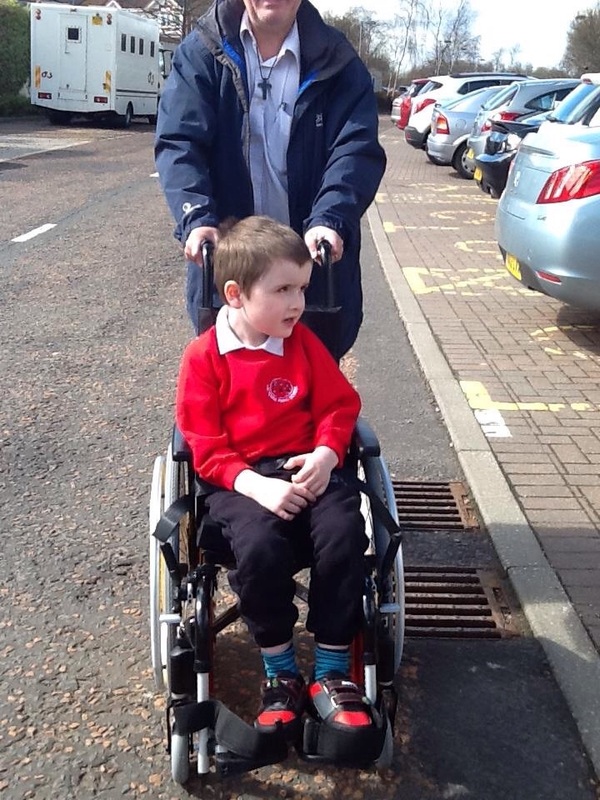 Cari I don’t know how old your son is but if he needs a pushchair now ask for an OT wheelchair assessment …. you might be pleasantly surprised. If he is using a regular pushchair he may be entitled to a disability pushchair and then as he gets heavier and bigger he may well be upgraded to a wheelchair. When we first started using the wheelchair, it took us a while to feel comfortable using it and almost had to repeatedly justify the use of it to no one but ourselves. Eventually, we saw what a huge difference using the wheelchair made in the quality of our outings and no longer felt the need to justify its use. This well written blog post from Miriam so accurately describes the difference a set of wheels can make. We have had very similar experiences with and without Jessica’s wheelchair. Thank you so much for this post, I have a 34 year old who is cortically blind, non verbal, developmentally delayed and mobile along with uncontrolled seizures. People don’t see the challenges because he walks. Recently while traveling we endured someone at the airline asking why we go through all the trouble to travel with him and in Walt Disney World Magic Kingdom with the new rules for the handicapped, they could not see his disabilities because he was not in a chair and it was recommended in a call to customer service that it would be easier to get people to assist us if we did put him in a chair. The sad thing is he has few things he truly enjoys and walking is one of them and he is ignored because he does. I have always said that children with a disability are children first. I write about this on my blog. These people are just curious, it is human nature.